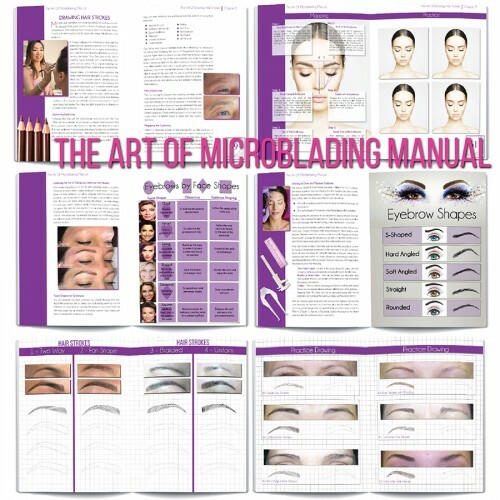 The Art of Microblading Manual has over 100 colorful pictures and beautiful illustrations. It is a complete guide that can be used daily. 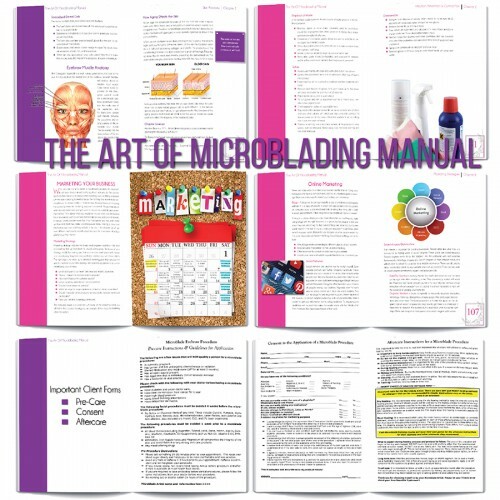 Beauty Research Industry supplies schools with their educational material for Microblade and Permanent makeup classes. Instructors from around the world such as Sule from Sasolburg, South Africa, Joyce from Florida, USA and Yvette from Ontario, Canada, are just a few who have expressed how grateful they are to have educational manuals which are so professionally done and informative. People are enjoying a rewarding career as a microblade artist. 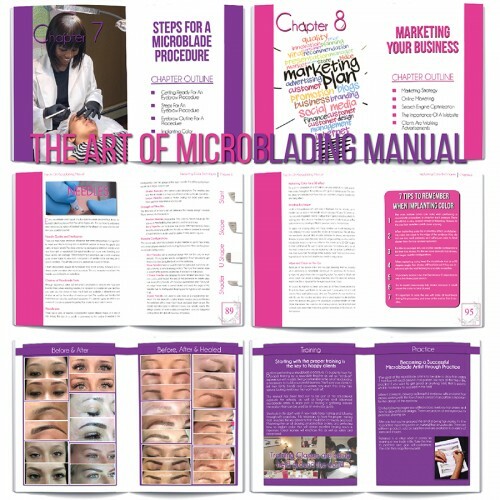 The Art of Microblading Manual teaches what is needed to become successful in the field. It includes everything from beginning a procedure to marketing yourself. 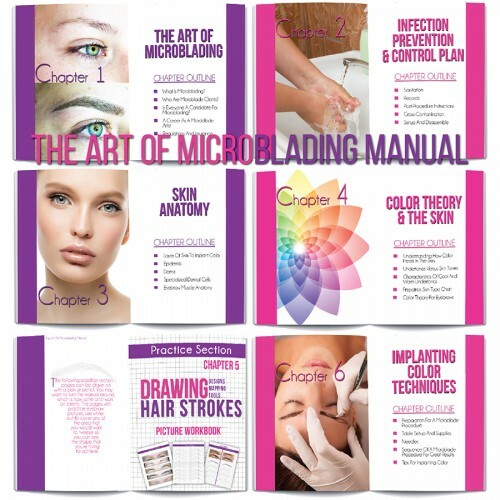 This manual is designed to help a person new at microblading as well as experienced artists obtain the information needed to achieve amazing results. One of the challenges of microblading is to master eyebrow designs that cater to each client’s needs. Chapter Five – Drawing Hair Strokes can help you do just that. It covers basic hair strokes, in depth. It also includes an extensive practice section with pictures of real eyebrows that can be drawn on to help master the art of microblading. A microblade artist’s goal is to implant color into the proper layer of skin, referred to as the “Target Zone”or “Sweet Spot”, for optimal results. Chapter Six – Implanting Color, thoroughly details the process of implanting color. 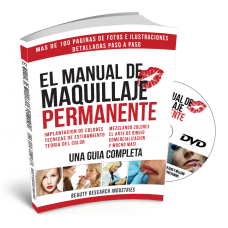 We have created this manual for you, the artist, to help you achieve great results and success in the field of microblading! One of the challenges to be successful as a mircoblading artist is to be able to master the art of eyebrow designs that cater to each client’s needs. 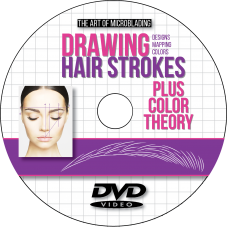 This DVD will take you through the process of how to place hair strokes in a pattern that will complement each client’s eyebrows. It will help you master the art of drawing beautiful, natural looking hair strokes. There are many questions on how to obtain the perfect eyebrow color for each client. It is always undertone plus color that equals the end result. The DVD will help teach you the characteristics of cool and warm undertones. Also what colors to use for amazing results!